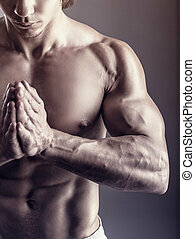 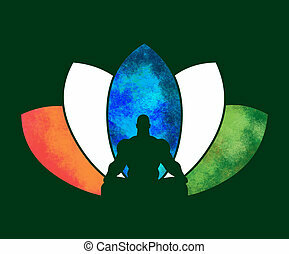 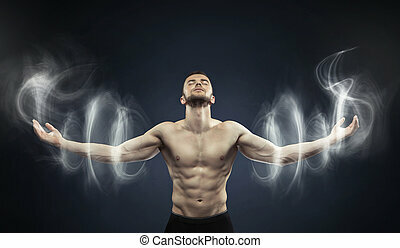 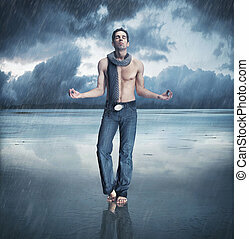 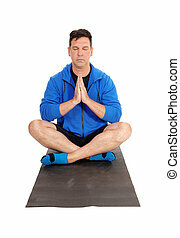 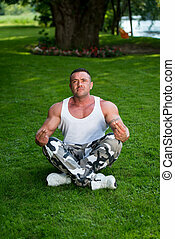 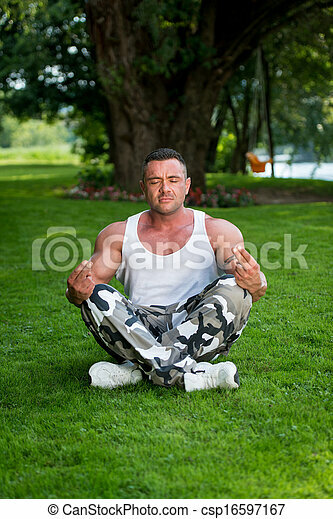 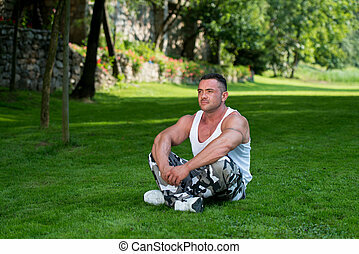 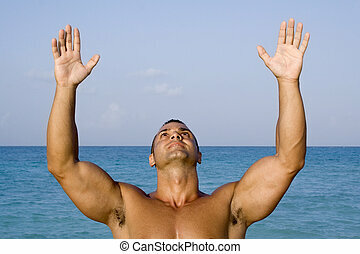 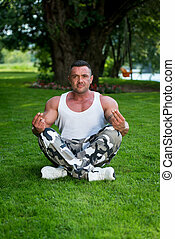 Bodybuilder meditating. 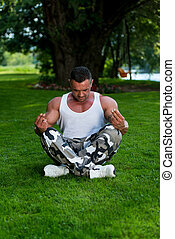 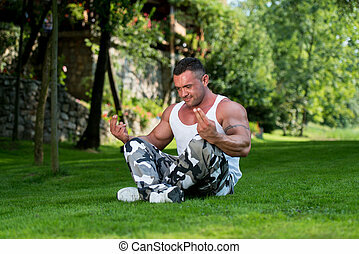 Bodybuilder doing yoga in nature , blurred , space for copy. 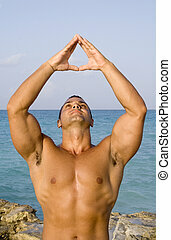 Comceptual image of bodybuilder in gold or golden bath. 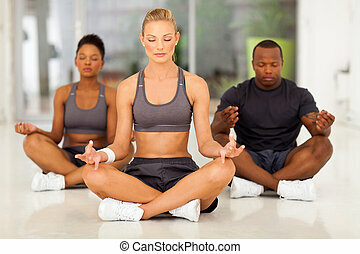 Woman doing yoga posture hamstring leg pilates position stretching exercise sports fitness in exercise room in sports bodybuilder gym health club fitness studio for bodybuilding and weight training.